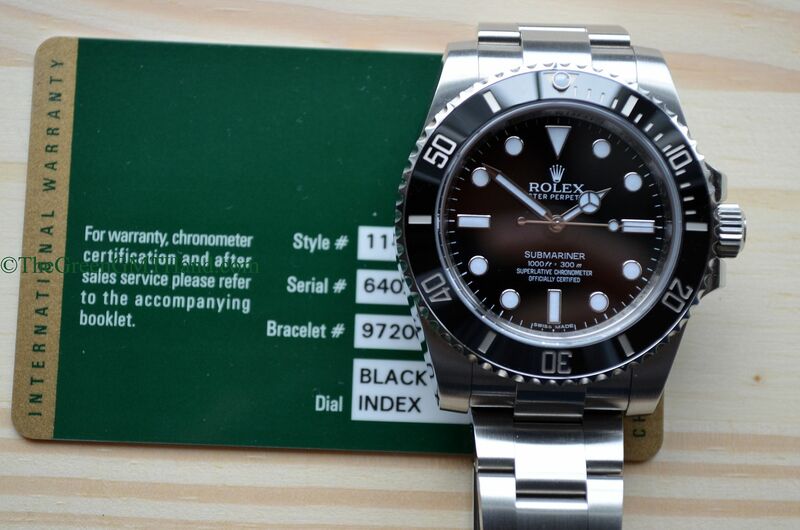 We sold one of the first Rolex 114060 no date Subs to arrive in the US after its announcement at the 2012 Baselworld. 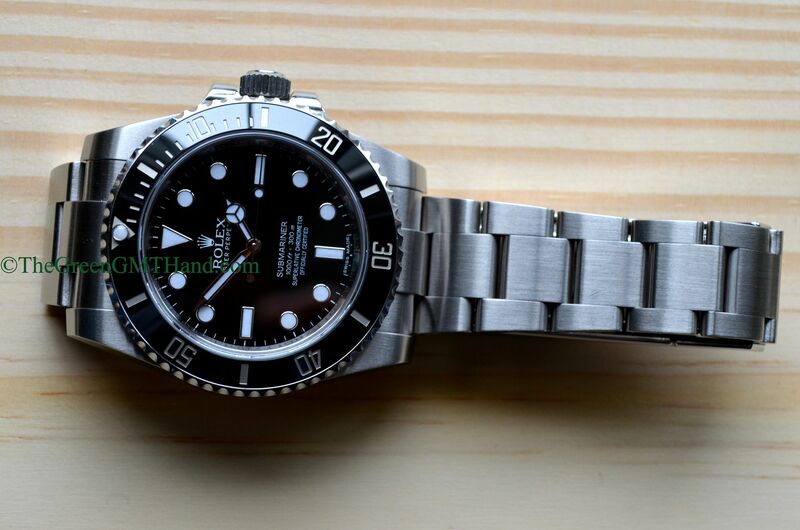 Like its 116610 Date Submariner brother, this Sub features the shiny yet virtually indestructible ceramic bezel with platinum dust blasted markings. 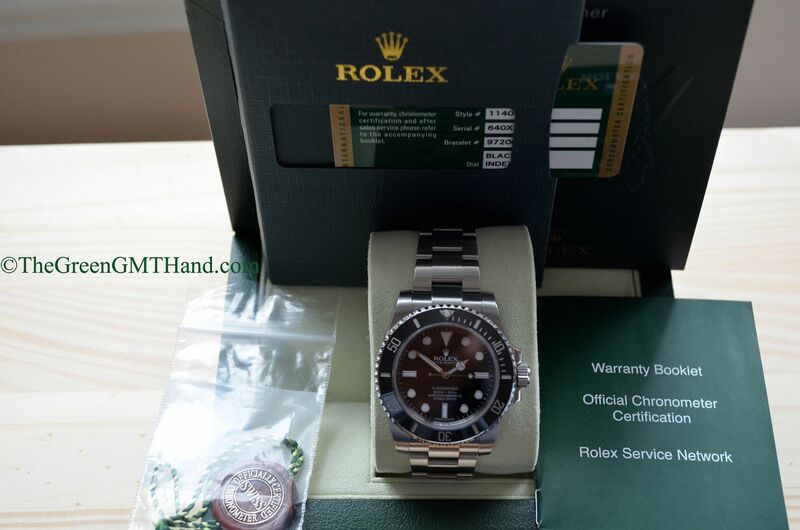 This watch came as complete they come with original boxes, card, manuals, and both tags. 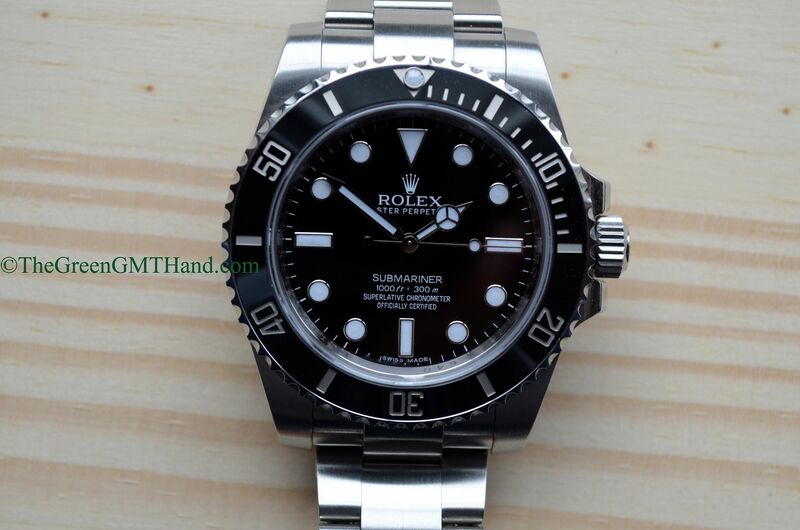 This Sub maintains the same 40mm profile as its discontinued predecessor, the highly respected 14060m no date aluminum bezel Submariner no date. 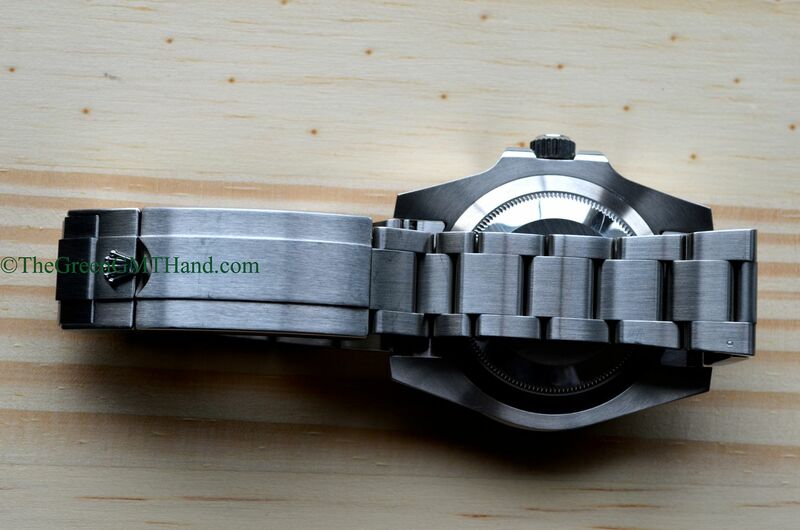 Overall appearance is larger due to the fatter lugs and higher profile ceramic bezel. Movement now has the parachrom blue antimagnetic hairspring as standard issue, although we do not consider that an upgrade as the G and Random serial number 14060m Submariners also featured the same blue parachrom hairspring. 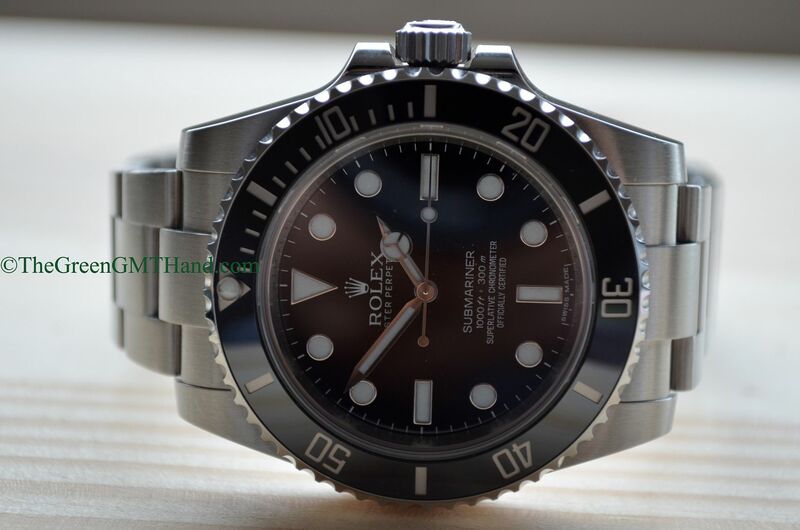 The glidelock bracelet REF 97200 is arguably the best improvement to this timeless classic Submariner that James Bond (Sean Connery) famously wore. 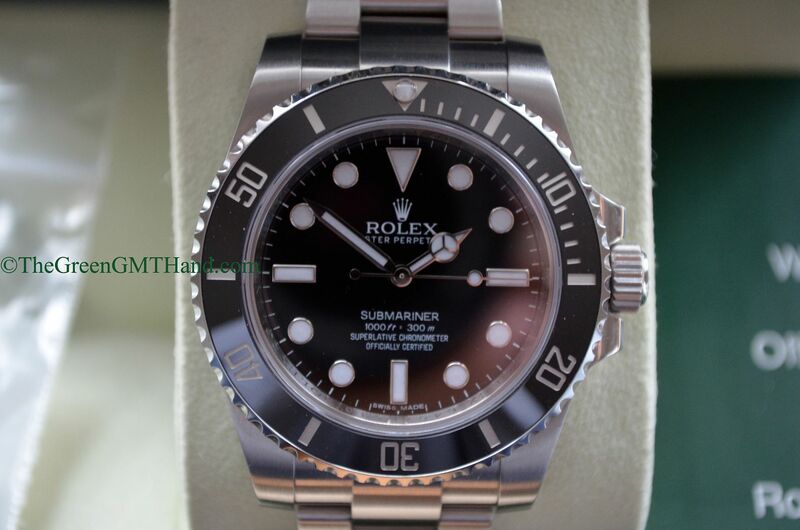 We consider this the perfect contemporary Submariner, holding true to its historical roots while instilling the newest Swiss timepiece technology and Rolex patents today. 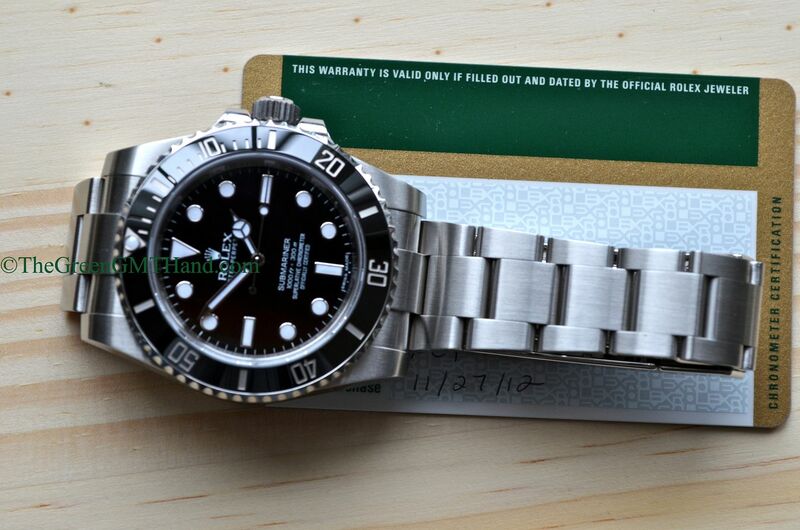 SOLD and delivered our buyer with original boxes, warranty card, manuals, and tags.